Mateo, 16, collects extortion money on behalf of his uncle and uses his pay to help out his mother, who grudgingly accepts the ill-gotten money out of need. They live by themselves in the poor, violent neighborhoods alongside the Magdalena River valley in Colombia. To prove his worth, Mateo agrees to infiltrate a local theater group in order to uncover its members’ political activities. As he becomes enthralled with the free-flowing creative lifestyle of the troupe, his uncle escalates demands on him to produce incriminating information on the actors. Under pressure, Mateo must make difficult choices. At the Miami International Film Festival, where MATEO had its world premiere, the film won Best First Feature and Best Screenplay. 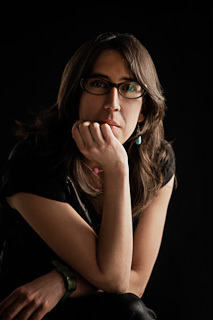 María Gamboa has studied film and television production at NYU (New York) and screenwriting at La Femis (Paris). She has taken part in over 20 productions as editor, producer and assistant director in USA and France. She is currently based in Bogotá, where she has directed two TV series and the internationally awarded short film 20 MIL. María has also developed and taught a course on directing actors at the local university Jorge Tadeo Lozano.